A few weeks ago my friend Danielle told me about an article she’d seen in the star where the writer offered some wines to re-stock your wine rack for under $100. If I remember correctly, her exact words were “you could do a much better job”. Well, Danielle, thank you for the compliment and challenge accepted! In the original article the writer offers five wines – one rosé, two whites and two reds. I suppose the rosé snuck in there because the article was published in March and maybe the writer wanted to prime us all for rosé season. But I think rosés are too seasonal and ethereal to go in a list like this, so instead I’m offering you a sherry. With a theoretical $100 to spend, here is what I would choose. Here are some wines I’m excited to try this weekend. Conveniently they’ve all found their way into the Vintages catalogue at the LCBO, which is where they caught my eye. A few weeks ago I was hanging out on my favourite wine website and was introduced to their Noble Grape Challenge. Goody – a new project! Sure, I’ve tasted most of these varietals before, but not in such a methodical, deliberate way. So, I thought, what better series for me to do that the Noble Grape Challenge – an excuse for me to learn a bit more about wine and then share that knowledge with you. Wine Folly created this list as a way to learn the spectrum of wine flavours found in red and white wines – we’ll have to find another way to learn about sparklings, rosés, and fortifieds. Taking nine reds and nine whites, we’ll go through them from lightest to darkest, learning about the key characteristics and flavours of each. Before I delve into the first grape, why don’t we figure out what the heck a makes a grape noble. Noble grapes are the varietals most commonly used to create the world’s highest quality wines. There are lots of other varietals out there that aren’t on this list, but this challenge is as good a starting point as any for getting to know wine. Our first noble grape adventure is pinot noir! Pinot noirs are grown all over the world, but are most commonly associated with France and California. Pinots are on the lightest end of the red wine spectrum, are less opaque than most other red wines and often have a vibrant red colour – think ruby, garnet, or even blood. The flavour of a pinot is usually both earthy and fruity, with berry flavours but enough depth and body to keep it interesting. Because of this complexity I think pinots have more flexibility than some other reds in terms of food pairings (I’m lookin’ at you, Malbec). What would a wine education be without a tasting? 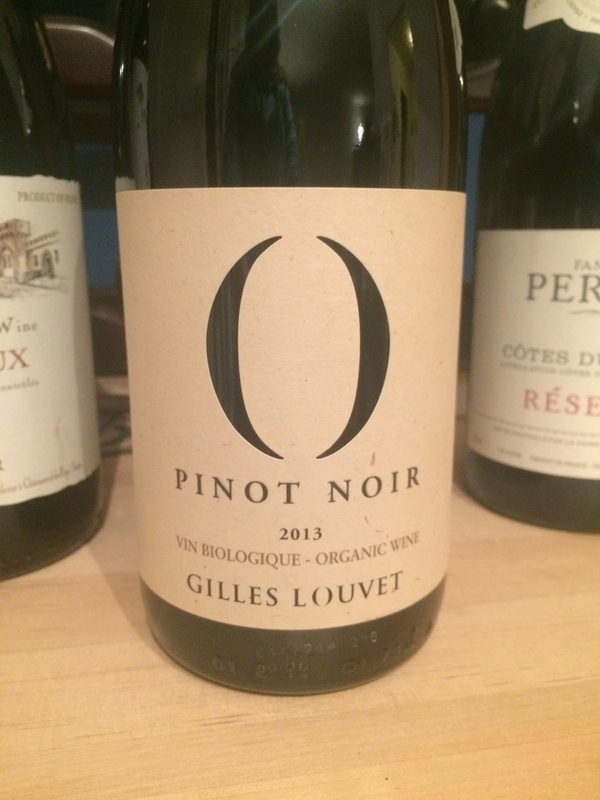 I went to my local LCBO over the weekend and chose a lovely little French pinot noir to taste: a Gilles Louvet O Pinot Noir. It didn’t have a big nose, but did smell a bit earthy and I smelled a bit of cherry (a common pinot noir marker). It did have lots of flavour – fruity, with some berries in there (another common marker). It stayed on the sides and back of my tongue after tasting, but the aftertaste wasn’t as long lasting as other reds. I would call it medium bodied (all pinot markers!). I tend to find pinot noirs a little tangy (which I really like! ), and this one doesn’t disappoint. Does it taste like a pinot noir? Definitely. If you want a wine to learn on, this would be a good choice. Did I like it? It’s a solid wine, though not one I’d add to my roster of favourites. 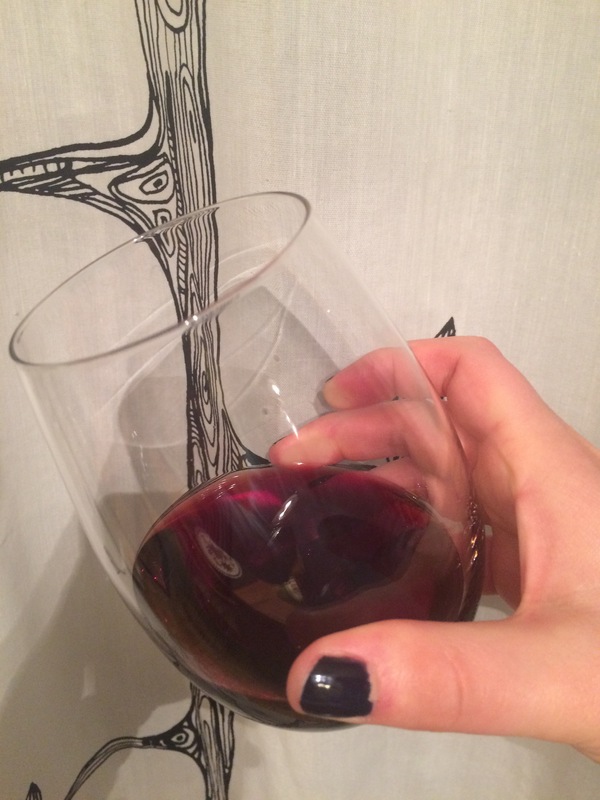 What’s your opinion of Pinot Noirs?